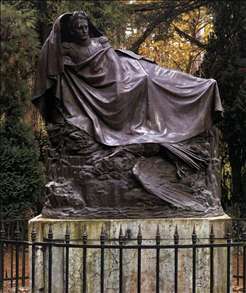 French Romantic sculptor. 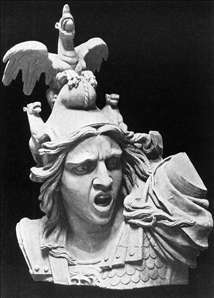 He was a fervent admirer of Napoleon Bonaparte and his emotionally charged work expresses the martial spirit of the Napoleonic era more fully than that of any other sculptor. In 1812 he won the Prix de Rome , but he was unable to take it up because of the Napoleonic Wars, and when Napoleon abdicated in 1814 he went into exile in Brussels with David. 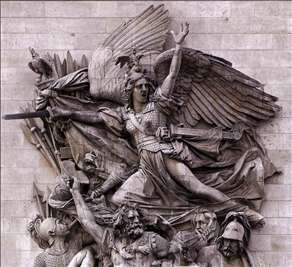 On his return to Paris in 1827 he became highly successful with public monuments, most notably his celebrated high relief on the Arc de Triomphe, Departure of the Volunteers in 1792, popularly known as The Marseillaise (1833-36). 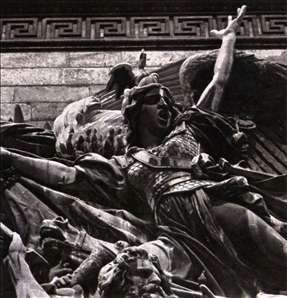 None of Rude s other works matches the fire, dynamism, and heroic bravura of this glorification of the French Revolution, but he created another strikingly original work in his monument The Awakening of Napoleon (1845-47) in a park at Fixin, near his native Dijon, which shows the emperor casting off his shroud. 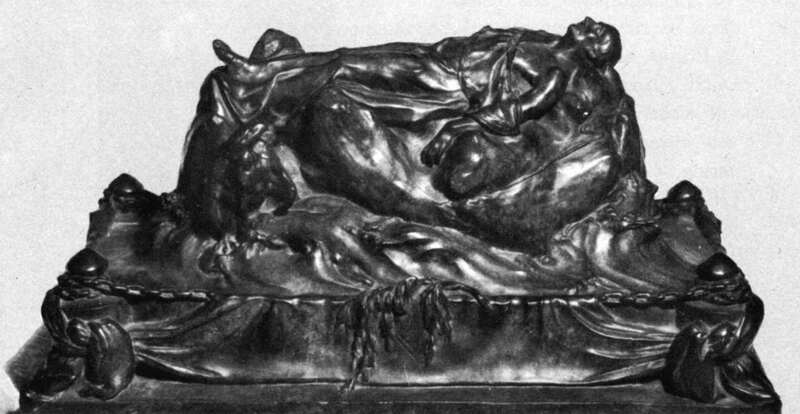 In spite of the dramatic movement of his work, it always has a solidity that reveals his classical training and his lifelong admiration of the antique. 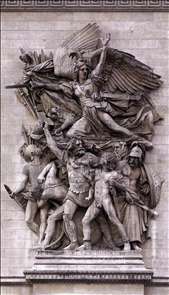 See more details about "March of the Volunteers of 1792 (La Marseillaise)"
See more details about "March of the Volunteers of 1792 "
See more details about "Napoleon Rising to Immortality"
See more details about "The Imperial Eagle Watching over Napoleon"